1. Let them join themselves. People can join to every public project in Productive. If you have a private project, you'll need to read this article further add project members yourself. 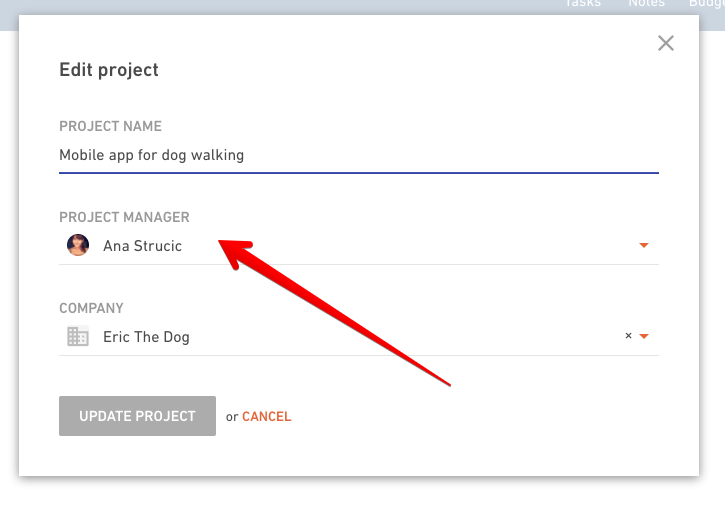 Find a person in the Contacts page and click the Projects tab. Search for a project and select it from a dropdown menu. 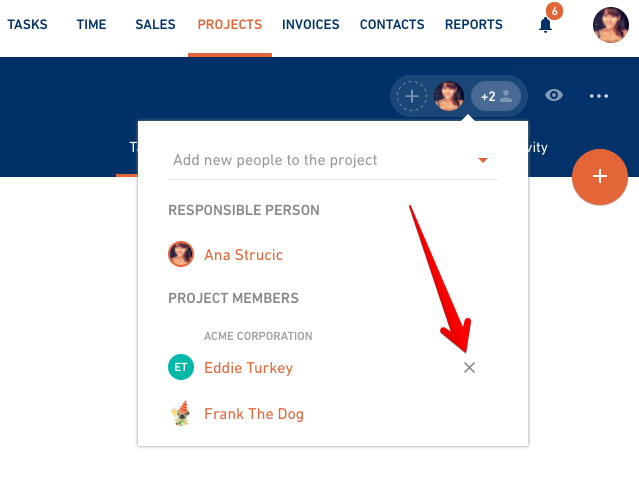 You can add more projects to the same person at once. Search again, select another project. When you're done click the Add to projects button. Got to Projects in the main navigation and select a project from the list. There is an option to add people to the project or remove them from it. Type to search for a person and click on the Add person to a project button. If you wish to remove the person, just hit the x right next to the name. I can remove Project Members but not the responsible person? That's right. Every project has to have a responsible person aka Project Manager. You can change that person, but you can't remove it. Go to the More actions menu and select Edit project. 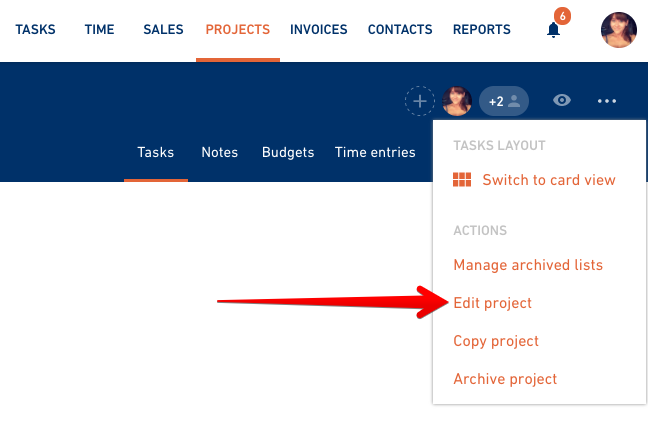 Here you can assign a project to a different Project Manager.